Tejiri Prince Uvwo, the driver of the People's Democratic Party (PDP) in Uvwie Local Government Area of Delta State, Hon. Kelly Utuedor was killed in a fatal accident on Thursday afternoon. It was gathered that the accident occurred along the Asaba Expressway. According to reports, he was driving on high speed when suddenly the brake failed. He veered off the road and rammed the official Nissan Central car into a stationary trailer. Nollywood actor Yomi Fabiyi sued the woman who accused him of sexual harassment last year. The filmmaker is demanding for 15million naira for attempted blackmail. A Nigerian man with the name, Rukevwe Okpakovwodo has become an online sensation after treating his wife to a lovely getaway to mark their 10 years wedding anniversary. Mr Okpakovwodo surprised his wife, Okpakovwodo Doro Blessing by riding her in an helicopter to a quite mountain side where two of them spent quality time together. Nollywood actor and singer Gabriel Afolayan and his bride Adebanke had their glamorous traditional wedding on Thursday in Ibadan. The couple looked so happy at the event and they were joined by several celebrities. Banky W, Adesua Etomi, Mo’Cheddah, Adeniyi Johnson, Tope Tedela, Wole Ojo, Tunde Demuren and more were spotted at the ceremony. A Nigerian lady identified as “maami_Chulo” on Twitter, has been fired at her workplace. According to her, she got terminated at work for not sleeping with her Indian boss. In a statement exclusively obtained and released by LIB, Petra Entertainment, the management of Nigerian singer, Ali Zainab a.k.a Alizee allegedly murdered by her Italian husband at their home in the Banana Island area of Lagos state has called for speedy justice by the alleged murderer. Nollywood actress Nkechi Sunday who made it known months ago that one of her goals in the year 2018 is to find a husband took to her instagram page to flaunt her backside. A Nigerian lady, identified simply as Damilola who is another victim of Domestic Violence, has taken to her Instagram page to speak up. Sharing photos of the injuries inflicted on her by her abusive partner, Damilola, in a length rant, revealed how her partner gave her the toughest years of her life. These wedding photos of a physically challenged man and his pregnant bride have gone viral for the obvious reasons. According to reports, the yet to be identified man got married in style to his beautiful and longtime girlfriend last weekend in the eastern part of the country. Nollywood actress,Mercy Aighe has shared some stunning photos of herself and her two lovely kids as they vacation in London. 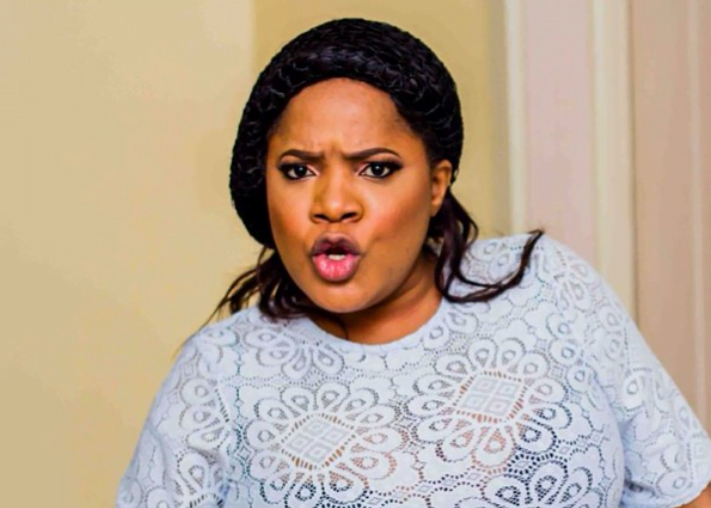 Nollywood actress, Funke Adesiyan narrates how her tribal marks lowered her self-esteem while growing up in life. She said she later overcame when she realized that the only person preventing her from achieving her goals in life is herself. Nollywood actress and entertainer ,Moyo Lawal looked stunning in pink for a wedding over the weekend. The actress took to her page to share the below photos of herself rocking a native pink outfit to a party for jollof rice and chicken. There are alleged reports that the Vice-Chancellor of IMSU, Prof Adaobi Obasi says Big Brother Naija housemate Nina will undergo moral rehabilitation when she returns from the BBNaija show. 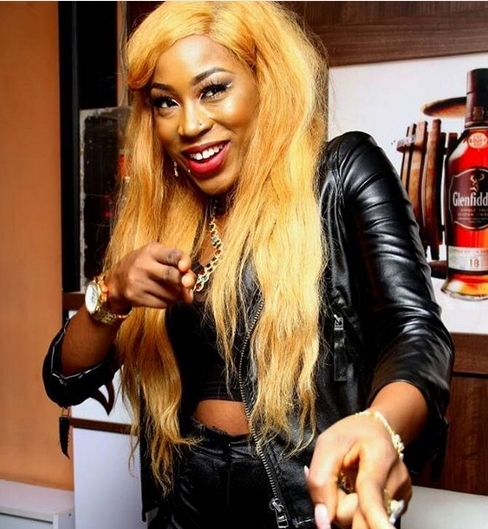 This is reported to purge Nina from any bad influences she might have picked up while featuring on the Big Brother Naija show. Vice Chancellor of the institution reportedly told some Owerri based journalists that the measure is to forestall and foreclose any of the bad influences being transmitted to other students of the university where Nina is currently a student. A young woman has died while giving birth to a baby on the floor in a dilapidated class room at Bakassi IDP camp last week. The young woman identified as Enobong Asuquo died after childbirth following retained placenta and postpartum hemorrhage, on March 27, at Akwa Ikot Eyo Internally Displaced Camp of Bakassi Returnees at Akpabuyo Local Government Area of Cross River State. A few days ago, news broke out across social media that popular Nigerian blogger, Linda Ikeji is engaged and may be walking down the aisle very soon. Now we have the photos of the fiance. It initially started as a rumor as that would not be the first time that Linda would be reported to be engaged. 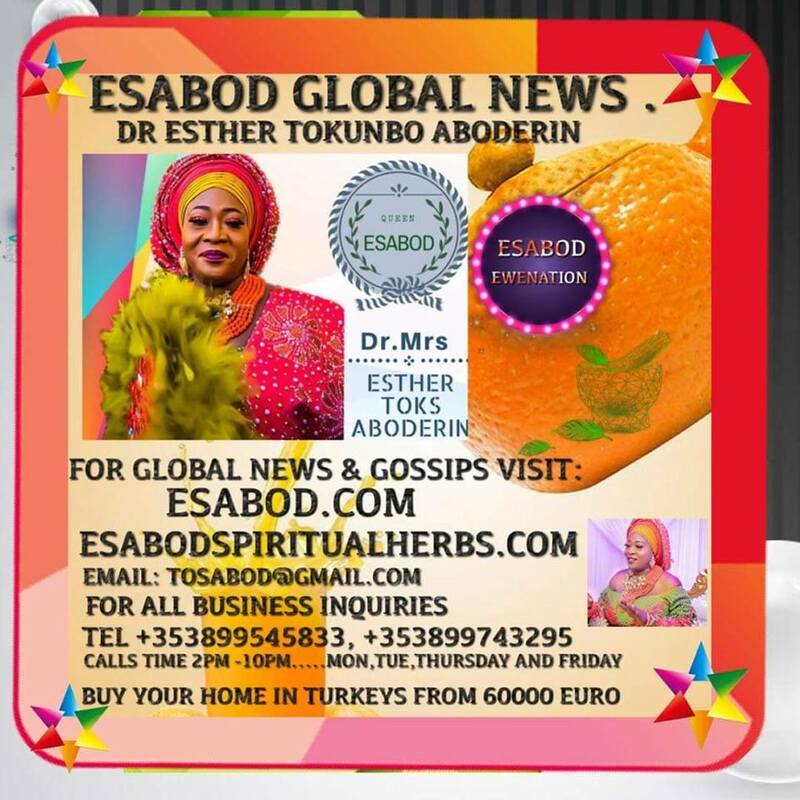 But the news was immediately confirmed by her sister, Sandar and Laura Ikeji, who took to their various social media platforms to congratulate their elder sister. Nigerian singer Alizee's husband Peter Nielsen has been arrested for killing his wife and their 4-year-old daughter Petra Nielsen. Lagos State Police Public Relations Officer, SP Chike Oti, confirmed Peter Nielsen’s arrest, adding that a crime scene investigation team has been deployed to the house, alleged scene of the gruesome of the murder. Although details of the circumstances surrounding the incident were still sketchy, Alizee, Ali Zainab Nielsen, and her daughter, Petra Neilsen were murdered yesterday morning 5th April 2018 allegedly by Alizee’s Italian husband, Peter Neilsen. A mentally challenged man named Monday Edejere has died in a church in Evwreni community, in the Ughelli North council area of Delta State. Kwara state bank robbery update: Photos, video and How robbers blew up the bank. Ten persons have been confirmed dead after the bank robbery in Kwara state yesterday Thursday. The dead included four policemen, about six other residents, and bank customers. Armed robbers had invaded commercial banks in Kwara State town of Offa yesterday. The banks robbed include branches of Guaranty Trust Bank, Eco Bank, First Bank, Union Bank and Zenith Bank. A Nigerian man was arrested forcefully and brutally by metropolitan police officers in South Africa over his driver’s license. The young Nigerian man was stopped by the police officers while driving and it was discovered he had no driver’s license. The South Africa police officers who found out the Nigerian man has no driver’s license allegedly stripped him naked and as he was bundled into their vehicle in the process of his forcefully arrest. Despite the man’s screams and shouting, the police officers continued with the arrest and placed him in handcuffs. Femi Kuti the son of late Afrobeat legend, Fela Kuti has reacted to the letters and continuous criticisms of the Buhari administration by former leaders, Olusegun Obasanjo and Ibrahim Babangida. According to Femi Kuti in this interview with Guardian TV, 'people like Obasanjo and IBB should never be given audience, when they write their letters young people should just take it and tear it'. A deadly bacterial disease with no known cure that ravaged olive groves in southern Italy three years ago has been detected in the French island of Corsica, industry officials confimred onTuesday. Students of the University of Ibanda are currently in shock over the recent increment of fees in the institution especially in the the school's college of Medicine. According ot LIB findings, as at last session, the school fees was #25,000 while accommodation fees was #14,000, however, this session the school fees has increased to #31,150 while accommodation fees to #30, 000 and #40,000 for students in the medical hostel. But the major issue and fee increment that particularly affects students in college of medicine is a new levy called 'clinical training levy' which ranges from #75, 000 to #100,000. This fee affects medical students, dental students, nursing, human nutrition, med lab, physiotherapy, physiology, biochemistry and so on. As we earlier reported the death of the fast-rising Nigerian singer, Ali Zainab Nielsen otherwise called Alizee. According to sources, she was allegedly murdered on the 5th of April along with her 4-year old daughter, Petra Nielsen by her Italian husband Peter Nielsen at their home in Ocean Parade in Banana Island, Ikoyi. Former Plateau state governor, Jonah Jang, has blasted the Minister of Information and Culture, Lai Mohammed, for including his name in the looter's list that was recently released. In the list, Jang was alleged to have looted N12.5 billion. Detectives investigating the murder of Nigerian House of Rep's son, who was gunned down in Dalston are now offering a £20,000 reward for information. Abraham Oluwatosin Dolapo Badru, aged 26, was found on Sunday, March 25, at Ferncliff Road, E8, suffering from critical gunshot wounds. He died at the scene. So far detectives know that Abraham was approached by a suspect or number of suspects who shot him without warning. Officers are talking to witnesses and examining the scene to build up a picture of the suspect or suspects, what they looked like and in which direction they made off. Warri-based lady, Stephanie Esievo pictured above, has died mysteriously after clashing with a certain lady in Edo state. President Buhari today received in audience the Arewa Pastors Non-Denominational Initiative for Peace in the State House on April 5th.